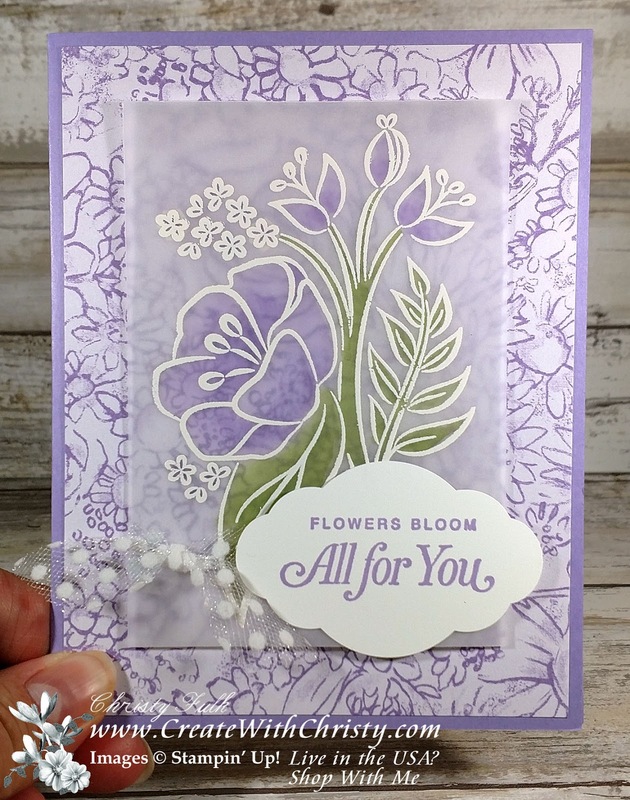 Today's card features another one made with the Wonderful Romance Bundle from the Occasions Catalog. 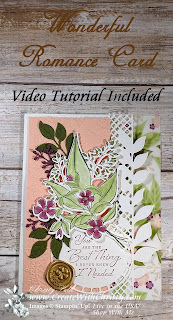 I said the last time I made a card with this bundle that I would use the beautiful leaf trim die in the Wonderful Floral Framelits next time, and here it is. 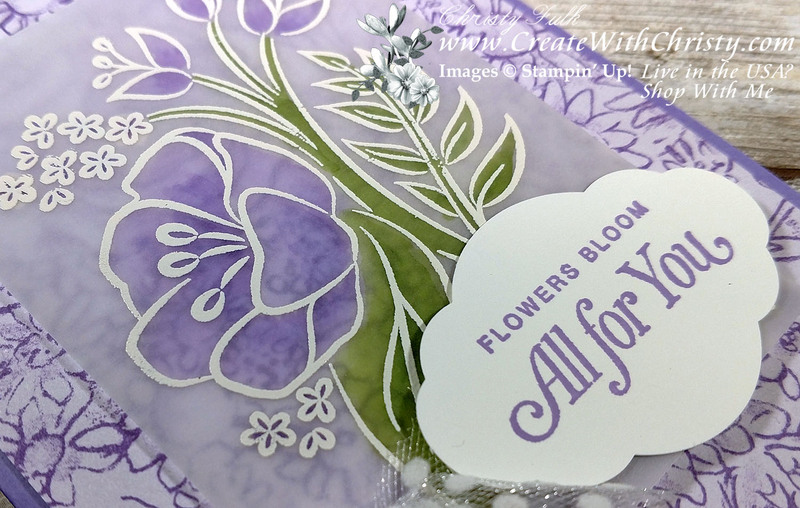 There are few things I learned about this die, especially when die-cutting out of Thick Whisper White cardstock. I show what I learned in the video below. 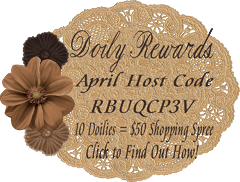 Click on the Picture to Get All of the Information on the Bundle. 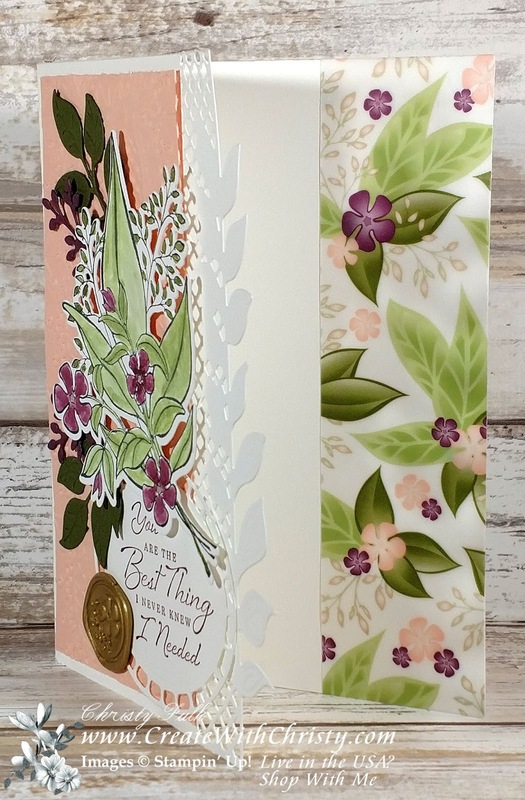 This card also features the coordinating Floral Romance Specialty Designer Series Paper (DSP), Lace Dynamic Textured Impressions Embossing Folder and Floral Romance Seals. Don't these items look great together! I used the super cute, Sweetest Thing Bundle from the 2019 Stampin Up! 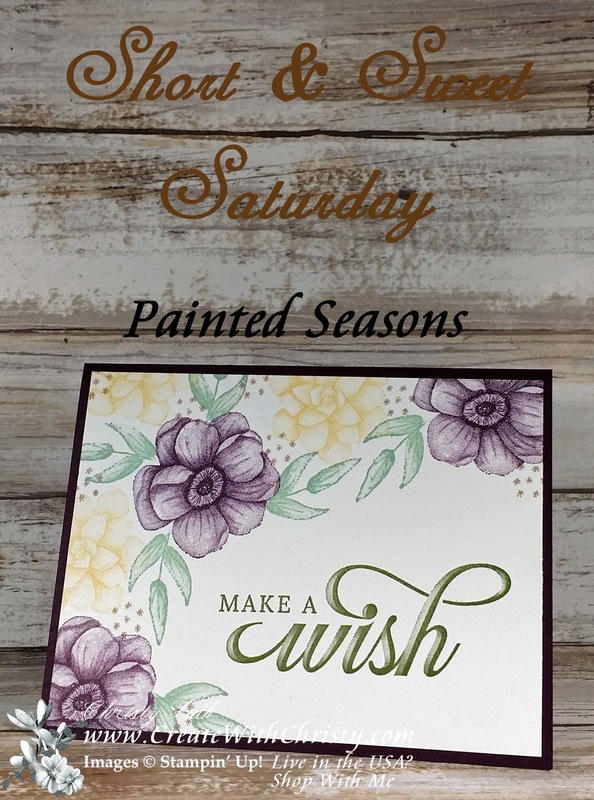 Occasions Catalog to make this week's Short & Sweet Saturday card. 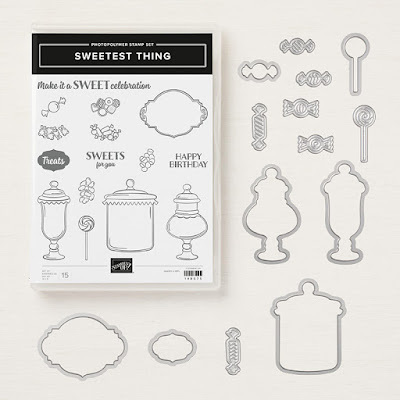 The bundle includes the Sweetest Thing Stamp Set and the Jar of Sweets Framelits Dies. When you purchase them together as a bundle, you'll save 10%. 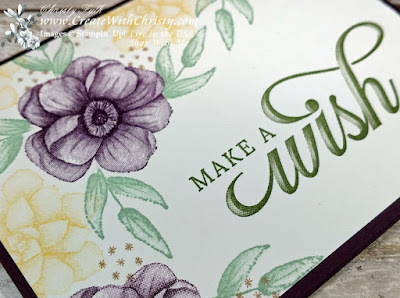 I also used the coordinating How Sweet It Is Designer Series Paper (DSP). I love how there's gummy bear DSP to match the gummy bears in the jar. 😍 I also used the coordinating ribbon, Coastal Cabana/Granny Apple Green 3/8" Reversible Ribbon. Don't you love seeing both colors on this card? FYI: This ribbon is on backorder right now, but you can still order. it. 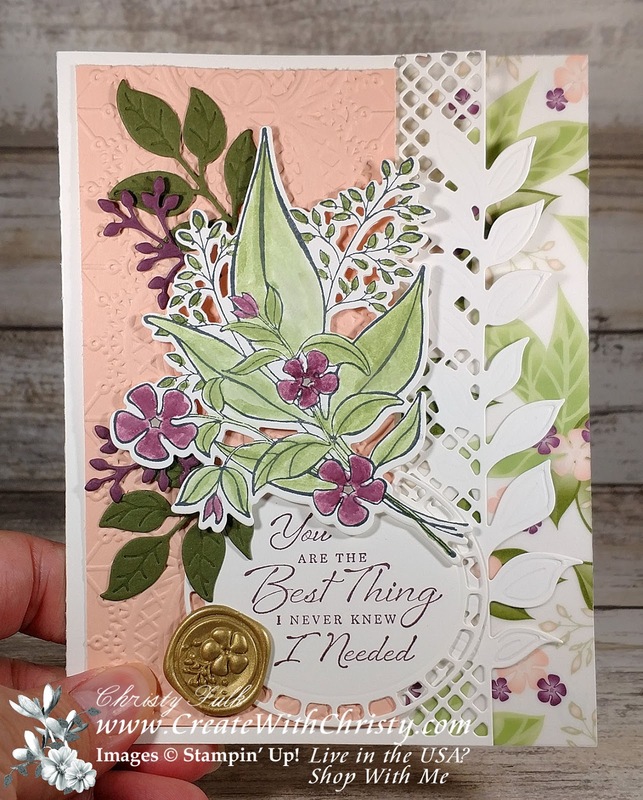 Emboss the Powder Pink piece by running it through the Big Shot with the Polka Dot Basics Textured Impressions Embossing Folder. 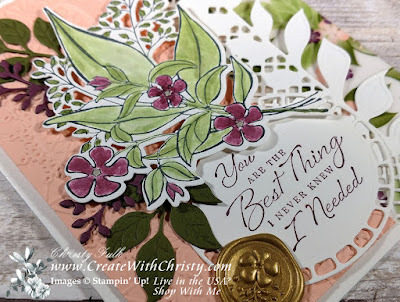 Die-cut a scallop circle out of the square Granny Apple Green piece using the largest scallop circle die from the Layering Circles Framelits Dies. Die-cut a circle out of the square DSP piece using the #5 circle die (#1 being the smallest). Attach the DSP circle to the center of the scallop circle, and then attach it to the middle right of the Powder Pink piece. Attach the gummy bear DSP piece across the bottom part of the circles (see picture). Stamp the rounded candy jar stamp from the Sweetest Thing Stamp Set onto the center of the largest Whisper White piece using the Tuxedo Black Memento Pad. 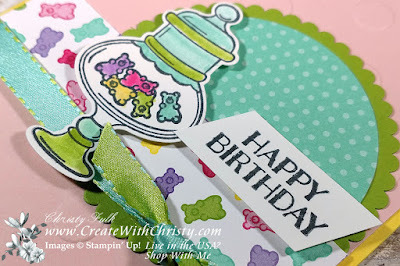 Stamp the gummy bears stamp onto the candy jar. 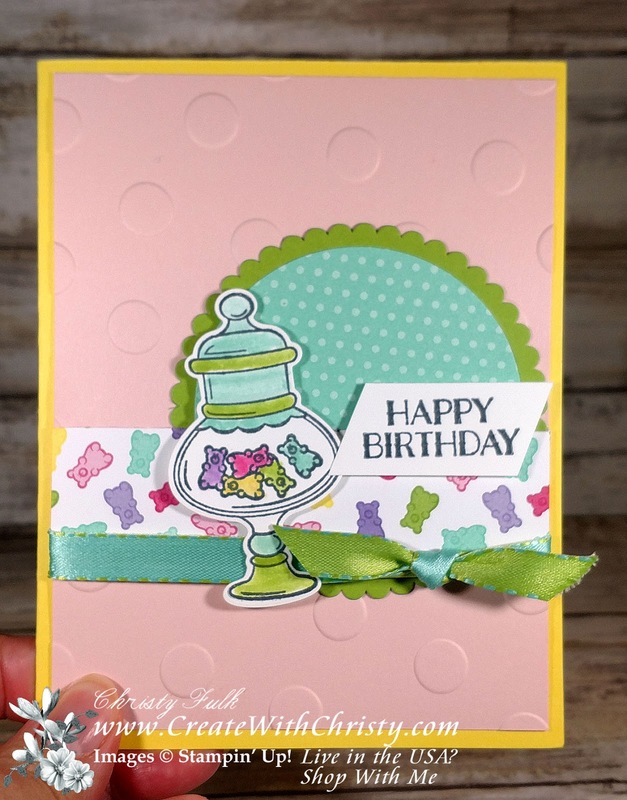 Using a Blender Pen, color the gummy bears with the following ink pads: (one each color) Coastal Cabana, Gorgeous Grape, Granny Apple Green, Melon Mambo, & Pineapple Punch Classic Stampin' Pads. Color the rest of the candy jar using the Blender Pen and the Coastal Cabana and Granny Apple Green ink pads (see picture). 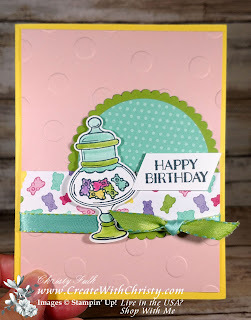 Die-cut the candy jar out with its coordinating die from the Jar of Sweets Framelits Dies. 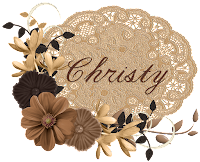 Attach it to the left side of the circle using Stampin' Dimensionals. Stamp the "Happy Birthday" stamp onto the center of the last Whisper White piece using the Memento Pad. Cut the ends of the cardstock at an angle, and attach it tot he top, right end of the gummy bear DSP strip using Stampin' Dimensionals (see picture). Today's card features the beautiful All That You Are Stamp Set and Botanical Butterfly Designer Series Paper (DSP). 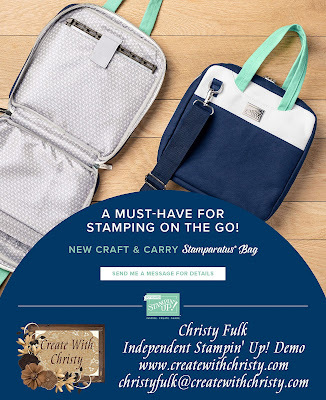 The stamp set is in the Stampin' Up! 2019 Occasions Catalog. 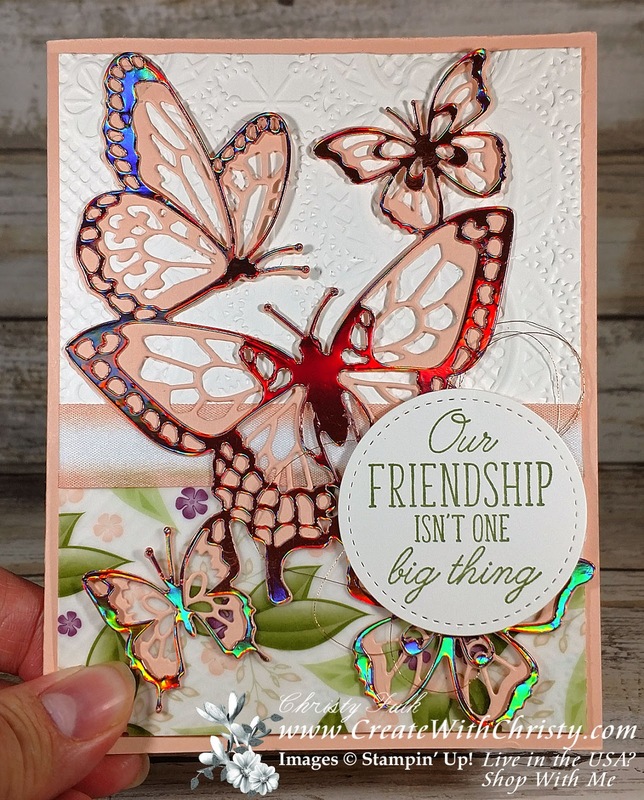 The Botanical Butterfly DSP is a Level One Item in the 2019 Sale-A-Bration (SAB) Catalog. It's one of the SAB products that we've been told will probably sell-out early, so make sure to get it ASAP! I used the Stained Glass Technique on this card. I used Stampin' Blends in the technique. It's a little hard to see in the pictures, but do you see the two-tone effect in the flowers and leaves? 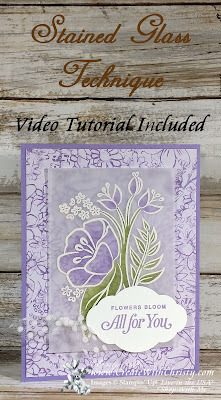 Yes, Stampin' Blends do this, but you have to use them differently on vellum. They don't blend like they do on cardstock. 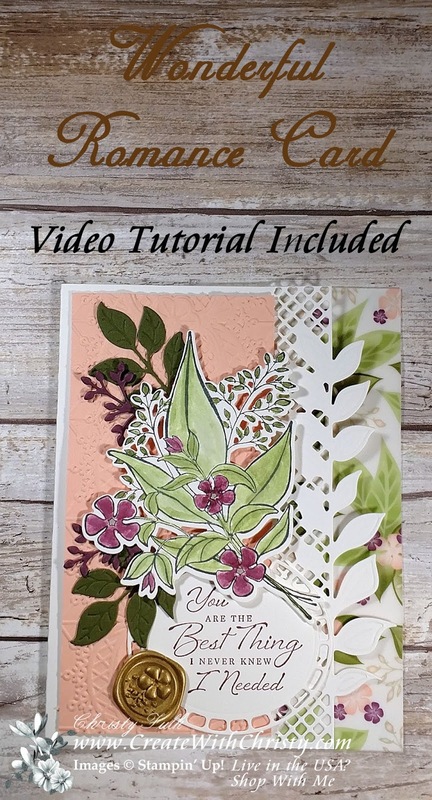 I've made a video tutorial on how to make this card, and it's below. You'll find the paper dimensions and supply list for the card below, too. Whisper White 5/8" Polka-Dot Tulle Ribbon: (2) 4"
I made a version of this card for my daughter's boyfriend for his birthday. He owns a black car, so I had to make sure this car was black, too. I made this card so I could share it with you, only changing the greeting from Derek's card. This one still works for a birthday, but it can be used for any celebration. I was inspired by a card I saw in Pinterest, but there was no information on who made it. Mine is similar to it, but I changed it up a bit. 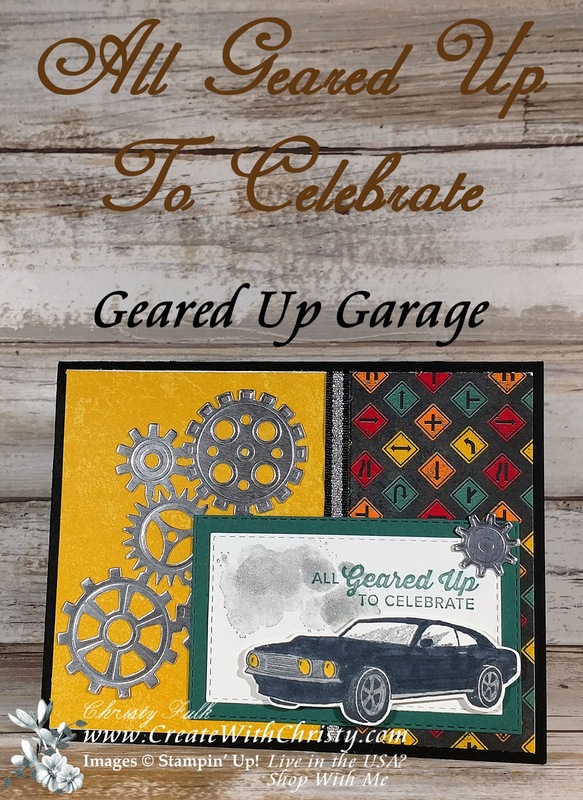 This card features the Geared Up Garage Bundle, along with the coordinating Classic Garage 6" x 6" Designer Series Paper & Black/Silver 1/4" Striped Metallic Ribbon. 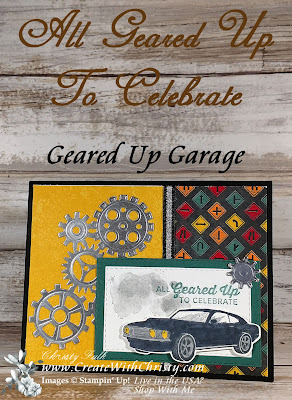 The bundle includes the Geared Up Garage Cling Stamp Set and the Garage Gears Thinlits Dies. When you purchase the bundle, you save 10%! I just love the large gear die that comes in die-set, along with all of the other little gears. You can see a picture of the bundle below. You can find the written tutorial and supply list below. Black/Silver 1/4" Striped Metallic Ribbon: 6"
Fold the Basic Black piece in half (fold on the top) to form the card base. Attach the Crushed Curry DSP piece from the Classic Garage DSP to the left side of the Whisper White base layer piece. Attach the road sign DSP piece to the right side of the same piece. There will be a white strip showing in-between the DSP pieces. Wrap the ribbon over the white strip to cover it up, and attach the ribbon ends to the back of the Whisper White piece. Attach it to the middle of the card front. Die-cut the large gears die and one of the small, single gears dies from the Garage Gears Thinlits Dies out of the Silver Foil Sheet. Attach the large gear die onto the center of the Crushed Curry DSP piece. Die-cut the #3 die from the largest set of rectangle dies (#1 being the smallest) in the Rectangle Stitched Framelits Dies out of one end of the smallest Whisper White piece. 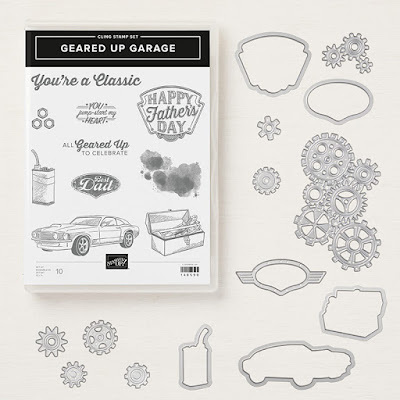 Ink the oil splatter stamp from the Geared Up Garage Stamp Set with the Basic Gray Classic Stampin' Pad. Stamp it onto a scrap piece of paper, and then stamp it onto the top, left corner of the white stitched rectangle (Stamp-Off Technique). 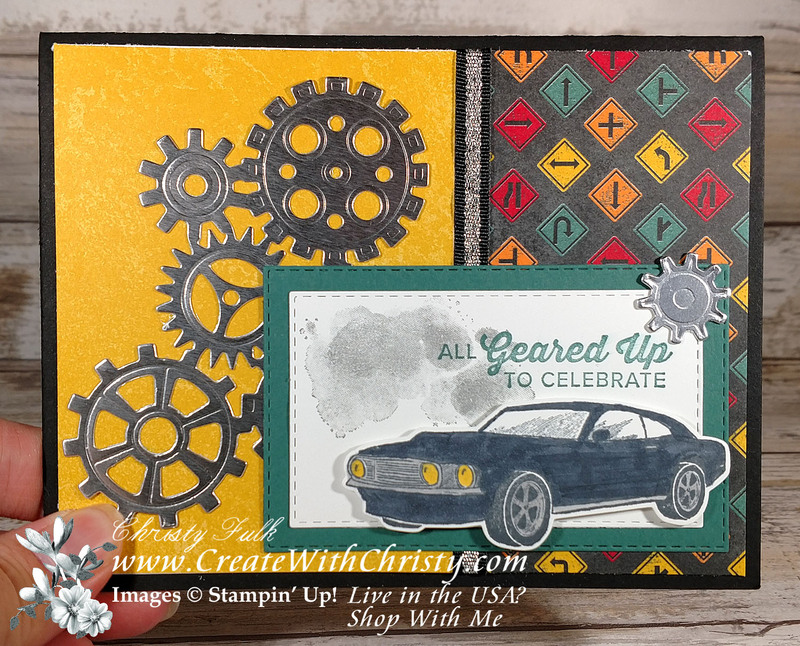 Stamp the "All Geared Up..." stamp onto the top, right corner of the same piece using the Tranquil Tide Classic Stampin' Pad. Die-cut the #4 die from the same rectangle set of dies out of the Tranquil Tide piece. Attach the white rectangle to the center of the Tranquil Tide one. Attach it to the bottom, right corner of the card. Stamp the car stamp onto the remainder of the smallest Whisper White piece using the Tuxedo Black Memento Pad. 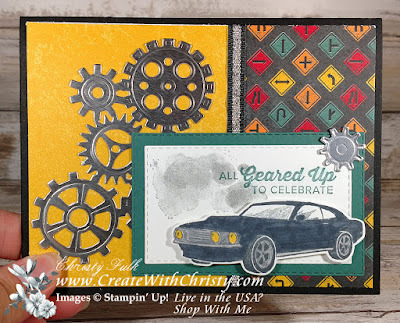 Color the main part of the car with the Light Basic Black Stampin' Blends Marker. 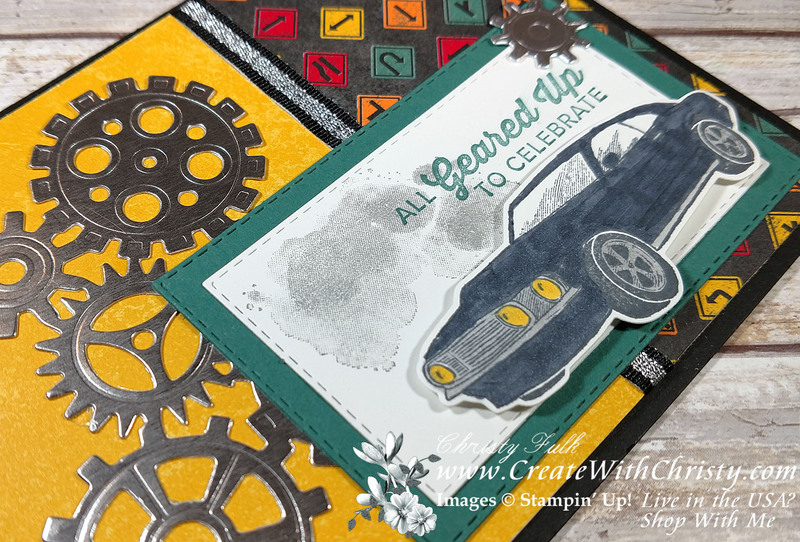 Color the grill and the hubcaps of the car with the Light Smoky Slate Stampin' Blends Marker. Color the lights with the Dark Daffodil Delight Stampin' Blends Marker. Die-cut the car out with the car die. 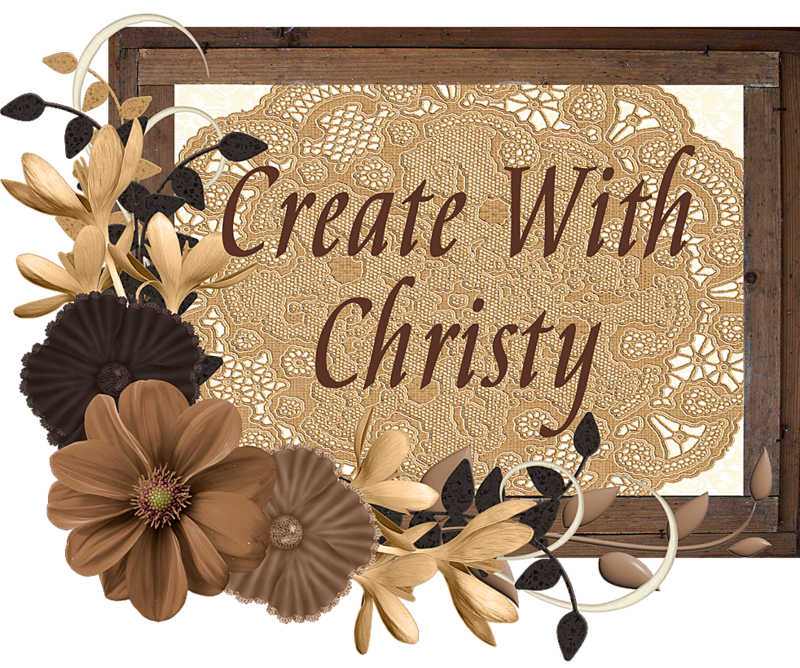 Attach it to bottom, right corner of the rectangle pieces using Stampin' Dimensionals. Attach the small gear from Step #2 to the top, right corner of the rectangle pieces. Inside of the Card (right picture): Stamp the tool box stamp onto the bottom, left corner of the last Whisper White piece using the Basic Gray Classic Stampin' Pad. Attach it to the inside of the card. 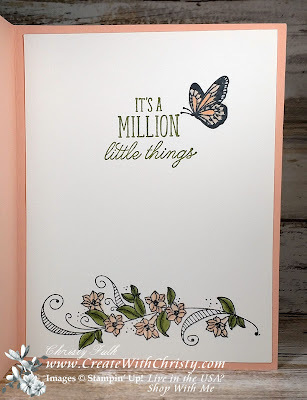 I also used the stamp set that coordinates with it, Beauty Abounds. It's a cling stamp set (red rubber). 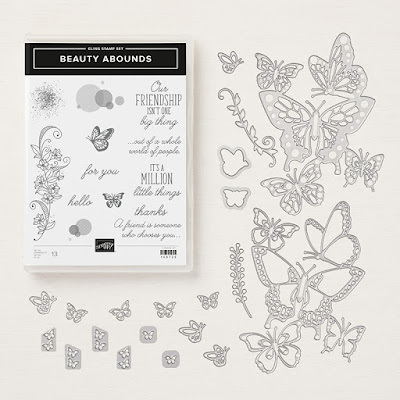 If you purchase the stamp set and dies together as a bundle, you'll get 10% off! 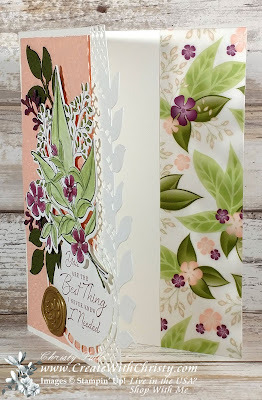 I also used one of my favorite designer series paper (DSP), Floral Romance Specialty DSP. 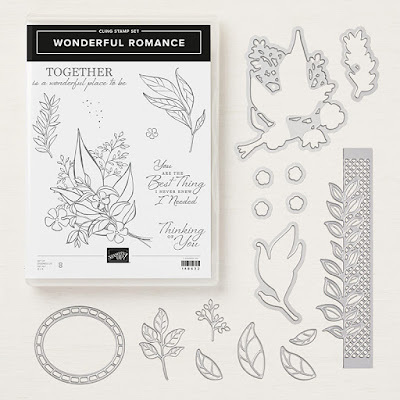 I can't forget about the beautiful Petal Pink/Whisper White Variegated Ribbon and Lace Dynamic Textured Impressions Embossing Folder, either! 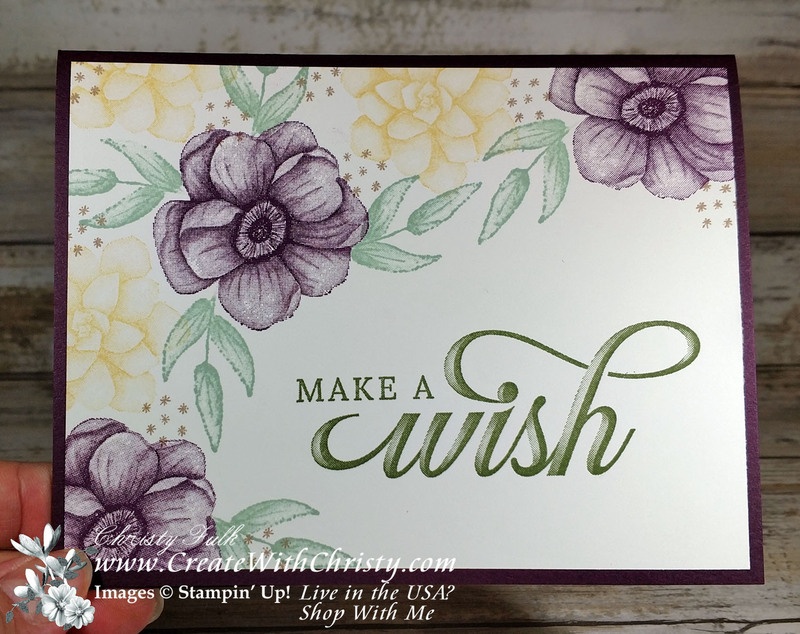 All four of these items are from the Stampin' Up! 2019 Occasions Catalog. 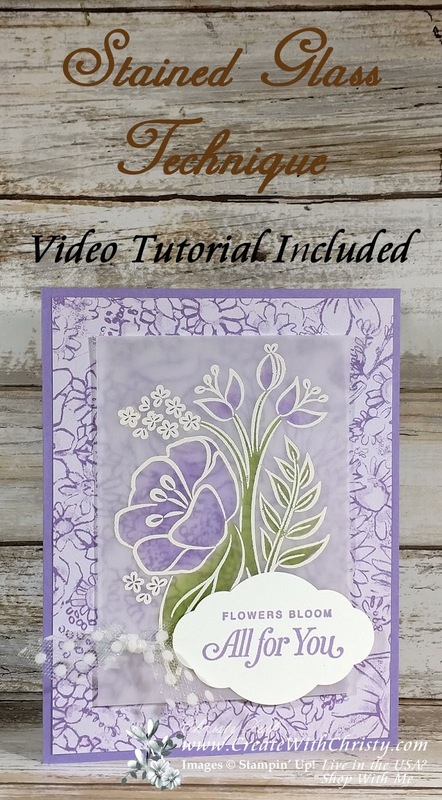 Below, you'll find the video tutorial I made, a picture of the inside of the card, and the supply list. 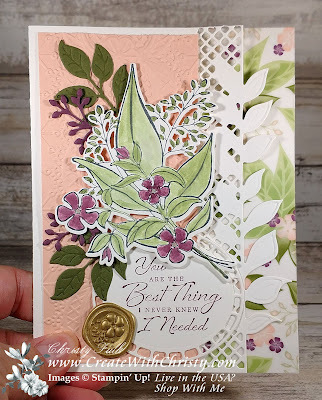 Petal Pink/Whisper White Variegated Ribbon: 6"
I've got this week's Short & Sweet Saturday card for you. I just had to use the new Painted Seasons Stamp Set from the Sale-A-Bration 2nd Release on today's card. It's part of a bundle, but I only used the stamp set for this card. 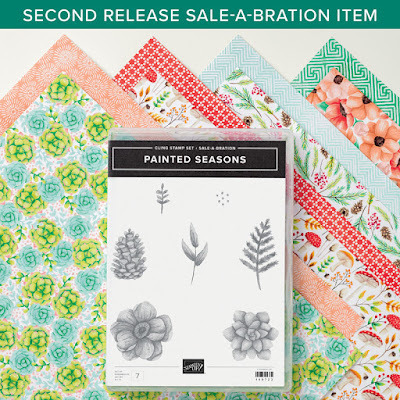 The bundle includes this stamp set with coordinating Designer Series Paper (DSP), also called Painted Seasons (DSP). You can get this beautiful bundle FREE by placing a $100 (before shipping & tax). This offer ends March 31, 2019 or while supplies last. Click on the Picture to See It in My Online Store. It Includes Pictures of Each Full Piece of Designer Series Paper. 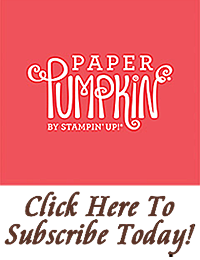 This month, Stampin' Up! 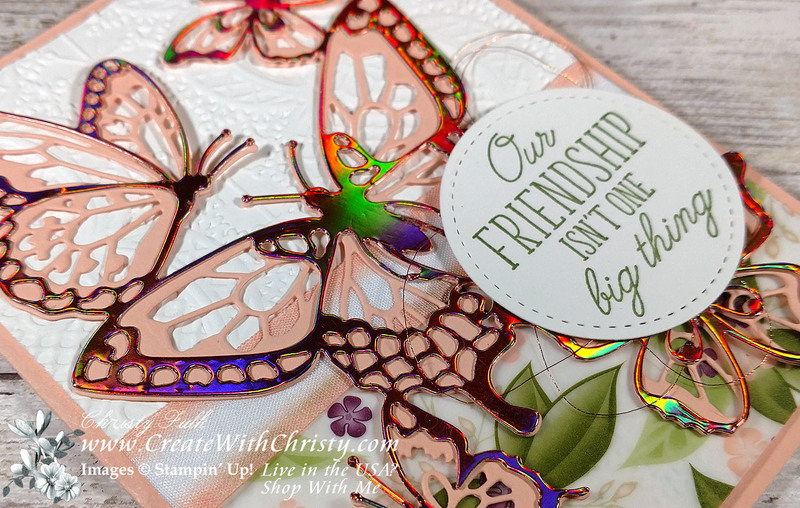 challenged demonstrators to make a birthday card for the #simplestamping campaign. This is the one I've come up with. 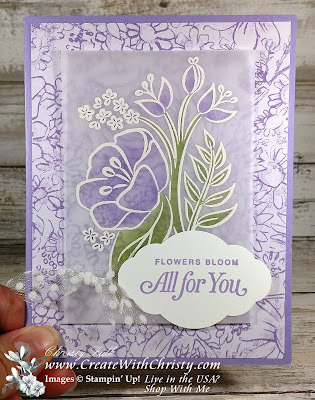 The Painted Seasons Stamp Set is perfect for a #simplestamping card. The detail in the stamps is so beautiful! No need for anything else to make the card gorgeous! I also used the Life is Grand Stamp Set from the Occasions Catalog. The stamps in this set has a 3-D effect, too. See how that "wish" jumps out? Love it! 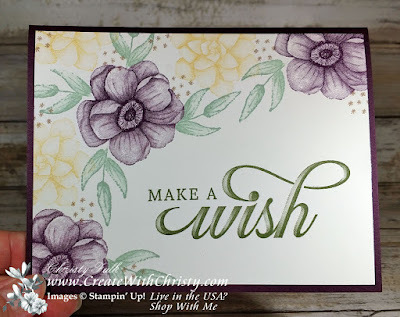 Stamp the "Make a wish" stamp from the Life is Grand Stamp Set onto the bottom, right of one of the Whisper White pieces using the Mossy Meadow Classic Stampin' Pad. Stamp one of the flower stamps from the Painted Seasons Stamp Set onto the piece three times using the Blackberry Bliss Classic Stampin' Pad (see left picture for placement). Stamp the other flower stamp three times onto the same piece, around the Blackberry Bliss flowers, using the So Saffron Classic Stampin' Pad. (see left picture). Ink only the leaves of the trio leaves stamp with the Mint Macaron Classic Stampin' Pad, and stamp them around the Blackberry Bliss flowers. 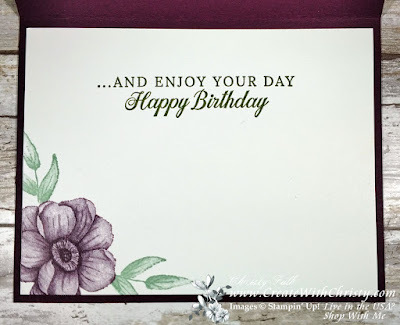 Stamp the small asterisks stamp around the flowers using the Crumb Cake Classic Stampin' Pad (see left picture). Fold the Blackberry Bliss piece in half (fold on the top) to form the card base. 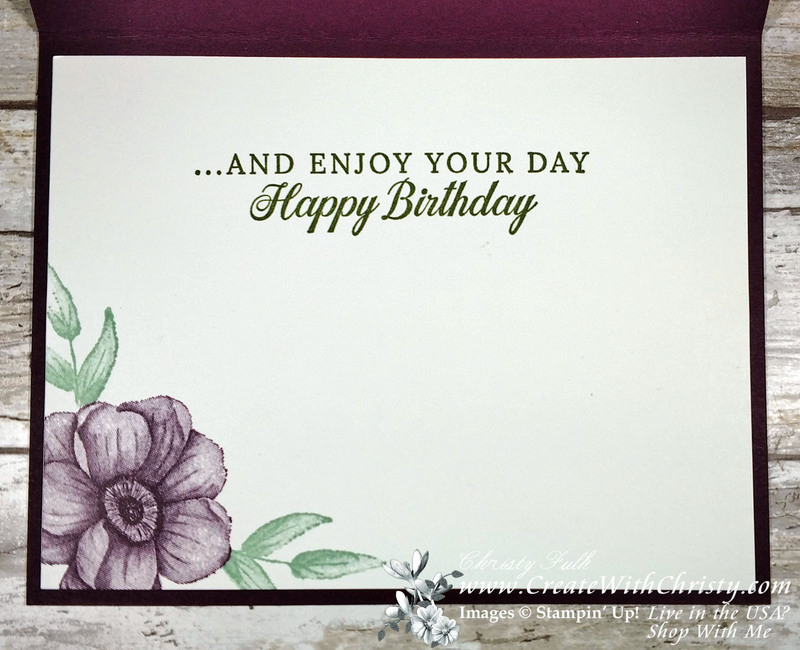 Attach the stamped piece to the middle of the card front. Inside of the Card: Stamp one of the flower stamps from Painted Seasons Stamp Set onto the bottom left corner of the last Whisper White piece using the Blackberry Bliss ink pad. Inking up only the leaves of the trio leaves stamp with the Mint Macaron ink pad, stamp them on both sides of the flower. Stamp the "...and enjoy your..." stamp onto the top, center of the piece using the Mossy Meadow ink pad. Attach the piece to the inside of the card (see right picture).